I haven’t seen such a good film in a loooong time. With the approach of the inauguration of a demagogue, it was great to escape into a film so enthralling and full of amazing women. And it passes the Bechdel Test hands down. Played by Taraji P. Henson, Octavia Spencer and Janelle Monáe (yes, the Janelle Monáe, singer and songwriter) Hidden Figures is the true story of the women who did the calculations and research that made it possible to send people into space. Interwoven in the film are the obstacles these amazing women, Katherine Johnson Dorothy Vaughan and Mary Jackson, had to overcome during the segregated 1960’s. This movie was immensely refreshing and we need more movies like it. Check it out! In the midst of bad news lately, it is especially nice to escape into a fascinating film. 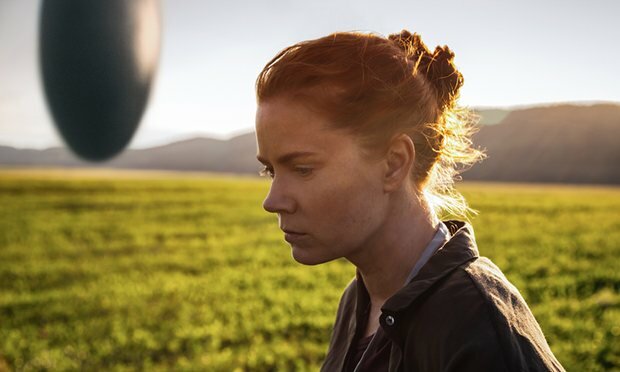 Arrival is a thrilling sci-fi escape from reality and the message at the end is a pertinent one to today. The film passes the Bechdel Test and Amy Adams’ acting is lovely. I highly recommend this intense, fascinating film. Looking for a new show to binge on? Ever wish history texts and documentaries didn’t ignore the “other” half of the population? Have you ever wondered, “yes, yes, but what were the ladies doin’?” Cheeeeeck out this new BBC show. It’s on Netflix. Ascent of Woman is a fascinating look at the history of the world, based on how it has affected women, and based on the incredible contributions women have made. It is in four parts: Civilization, separation, power and revolution. It starts from around 1350 B.C.E in Turkey and goes allllll the way to current day. Rad, I know. The show is engrossing, fascinating, and based on research. It is written and hosted by Historian, Dr. Amanda Foreman, who travels around the world taking viewers to real sites where events took place. Not only is Foreman a Historian and popular documentary writer/host, but she is also a columnist for the Wall Street Journal and has written numerous eye-catching articles, including this one about Hillary Clinton, and is currently the chair of the Man Booker Prize. Empress Wu Zetian = Emperor of China during 684-705 C.E. She steered China away from Confucian policies that were harmful to women and towards Buddhist principles and maintained, what many historians regard as a peaceful empire. She was the only female emperor in Chinese history. Roxelana = 1504-1558 C.E. During the Ottoman empire in Constantinople, she rose from a sexual slave to the wife of the Sultan. She completely changed how royal women helped rule. Before her, there was a system of sexual slaves having to supply sons to the rulers and provide heirs. After the women supplied male heirs, they would be banished from the harem, or the place where the women were held. But after her as a role model, women were allowed to stay with the sultan. The heseki hurrem hababa was commissioned by her, a bath house where only women could go and she brought in the era, called the Sultanate of Women. Nur Jahan- Empress in India who lived from 1577-1645 C.E. She broke away from the stereotypical female identity and turned femininity in Mogal Court on it’s head. She was loved by all people. She had artists depict women in art, for a change, and created less restrictive clothes. She allegedly was also very good at hunting with a bow. Since the law then was that women couldn’t show their face, she had to rule without her face being seen. And yet, all traders had to work under Nur Jahan’s authority. All contracts and trade agreements required her signature. Coins even had her name on them, demonstrating just how far-reaching her authority was. Her style ideas were used in buildings in India: Never before had white marble been used until she ordered a building be constructed for her parents. The structure had white marble and intricate flowers, design ideas which went on to be used for the Taj Mahal. Olympe de Gouges- 1700’s France. When the infamous Declaration of Rights of Man and Citizen was written, there was no mention of woman. So Olympe de Gouge wrote these ideas herself into her own Declaration of the Rights of Women. She was a fundamental figure in The Enlightenment, and yet, even today, has not been recognized in the Pantheon among the rest of the heroes. (Goes to show just how far we still have to go to gain the acceptance of women’s contributions in history.) She advocated for freeing slaves and outcried against the abuse of women and children. She was executed/assassinated via guillotine for supposed “opposition to the revolution.” This, of course, is tragically ironic considering she was a major part of the revolution. Her ideas just happened to not be in a male-centered way because, well, her revolution included women. So check out the BBC show, Ascent of Woman, on Netflix. This video is so true and hilarious!